Belgian Industrial legend The Klinik returns after 22 years with a new album in the original line up. “Eat Your Heart Out” is the perfect continuation of the classic minimalist-cold sound of the band that still stands as one of the most innovative in the scene. Available on CD and as a limited edition on heavy white vinyl. A legend returns with the first new album in the original line up after 22 years! When Marc Verhaeghens and Dirk Ivens formed under the “The Klinik”-moniker more than 29 years ago, they created an all-new subgenre of electronic music with their enthralling mix of cold, harsh, sequencer-dominated sounds, watered down arrangements, minimalist lyrics and a distinctive, hissing vocal style. Floor fillers, like “Memories”, “Moving Hands” or “Black Leather” are still standard repertory in most underground clubs around the world and the group’s bare-bones-no-nonsense Industrial-sound is an important inspiration for aspiring groups to this day. Now, Out Of Line Music are releasing “Eat Your Heart Out”, the long-awaited new long player of this seminal band. In a way, this release closes a circle, as The Klinik were the main inspiration for founding the label in the first place and the song “Out Of Line” from the legendary “Face To Face” album served as a name-giver. On “Eat Your Heart Out”, the band has assembled 9 new tracks in the trademark The-Klinik-sound which trickles out of the speakers in a cold, menacing, sparse and often rather fearsome way. The harsh sequencers and tribal rhythms become a borderline emotional experience and Dirk Ivens feeds the trauma-set-to-music with a fitting vocal delivery. 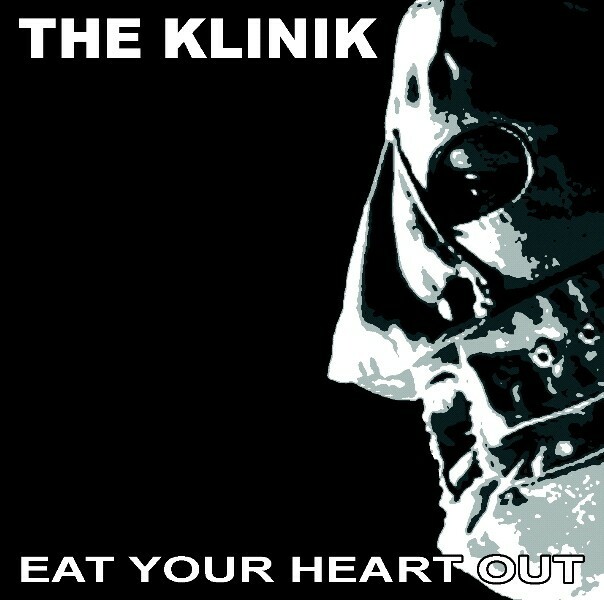 “Eat Your Heart Out” is 100% The Klinik and sounds as if the band has never been off the map. The minimalist sonic prowess of this group is still as up to date, innovative and modern as on day one on an album like a fever nightmare that serves as a thoroughly impressive new sign of life from one of the greatest innovators in underground Electronica. The Klinik are back, expanded with new member Peter Mastbooms, and the new long player is released on CD and as a special limited edition on heavy white vinyl. 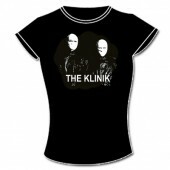 Nobody does it like The Klinik!